Darrell founded Fencil Urethane Systems in 1972. He had been in the construction business his whole life. After graduating high school he started working in the family building business on a full time basis and built many homes in the Wisconsin Rapids area. While working in the construction business Darrell saw the need for an insulation contractor in the area so he started Fencil Insulation. Over the years Butch has done many different training's with the Spray Polyurethane Foam Alliance and has attended many conventions. With his dedication and hard work he was able to grow Fencil Urethane Systems into the business that has sprayed over 75 million board feet of polyurethane foam insulation. Nicholas is a certified project manager and vice president through the Spray Polyurethane Foam Alliance. 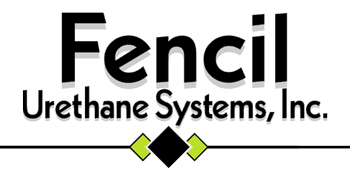 Nick joined Fencil Urethane Systems, in 2012 and has played an instrumental part in the growth of the company. He holds a bachelors degree in construction management and has sold insulation materials for manufacturers and distributors for 10 years prior to joining us. Not only has Nicholas been certified by the spray polyurethane foam alliance as a certified project manager, he also has completed the OSHA 30 hour training as well as the Center for polyurethane industry safety exam. Clifford is our certified master installer and job foreman. He has been certified by the Spray Polyurethane Foam Alliance as a Master Installer, and has also completed the OSHA 10 hour training and has passed the saftey exam through the Center of Polyurethane Industry. Marcus is a crew leader. He is currently going through the process to be a certified installer through the Spray Polyurethane Foam Alliance and has completed the safety exam through the Center of Polyurethane Industry.